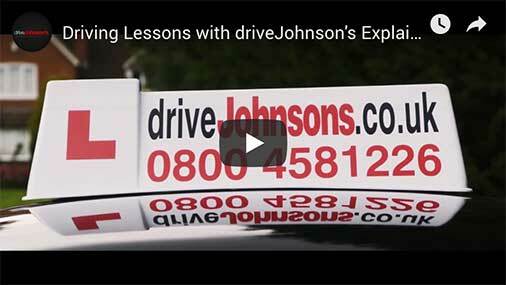 With a wide selection of weekly lessons, intensive courses and pay as you go options, driveJohnson's offer something for everyone looking for driving lessons in Bromley. Our instructors not only provide excellent training, they can offer every pupil invaluable information on test routes used around the various test centres, giving you a definite edge when it comes to taking your test. We pride ourselves on being the very best driving school in Bromley providing low-cost lessons, without compromising on the exceptionally high quality of teaching that we have built a reputation for! Wherever you are in and around Bromley, from Shortlands to Sundridge, we'll have you driving on the A21 and reverse bay parking like a pro in no time! As an established driving school of over ten years, we have built up our fair share of handy tips and tricks guaranteed to help you to advance in lessons and push your skills even further. We have put all of this advice into our fantastic driving manual which is filled with everything you need to know for each test topic, along with diagrams and manoeuvre guidance. Along with your driving manual, all pupils will also be provided with access to our online theory training app, which is available to download on all devices along with test route videos to help you to pass quicker. How much do driving lessons cost in Bromley?